ProsGreenGeeks is green hosting at its best, they run fast green servers using green energy. Bottom LineIf you are looking for green hosting look no further, GreenGeeks has a good hosting product while helping the environment. * Would the sign up be complicated? * Would the servers be easy to work with & run Joomla well? * How helpful would the tech support be? * Is the company really dedicated to using green energy? We are happy to report that the sign up was easy and straight forward, Joomla was easy to install and configure, there were a few server issues but tech support was able to correct them and GreenGeeks is dedicated to the Green movement. 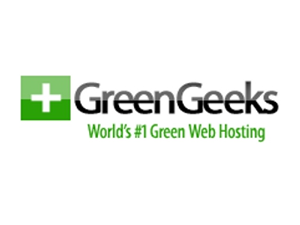 GreenGeeks was found by Trey Gardener who has over 10 years in the hosting industry. The company & tech support is based in Chicago and they are easy to contact (phone, chat & email). The server that hosted our Joomla site had a hardware failure three months after signing up. The site was down for a day or so which is not good but the communication from GreenGeeks was timely and informative. They kept us in the loop and showed how they learned from the process. Since then server down time has been kept to a minimum. We are notified via email of any scheduled maintenance. All servers have problems, it was nice to see that GreenGeeks was able to learn from a bad situation. If you are looking for a new Joomla Hosting company and want to go with a Green company, it is worth checking out GreenGeeks. In March 2014 I signed up for a year's web hosting with GreenGeeks LLC, as recommended by many online reviews. 2 days after submitting a payment of $142.56, I received an email stating that my "application" for web hosting had been refused and I would not be able to use their services. No explanation was given as to why they refused to let me host a perfectly reasonable (web design) site on their servers. They said that I would recieve a refund via PayPal (the method of payment) within 14 days. No refund was ever forthcoming. I have attempted to recover the funds via Paypal's resolution centre with no luck, and have emailed the company on an almost weekly basis since. Now, in July 2014, I have not received a response from any of my emails, other than one to say that the matter had been referred to the billing team and I would receive a response within 14 days. Still, no money... and am not sure it will ever be returned. An awful, awful company whose actions are tantamount to theft. Avoid them like the plague! Quite possibly a scam company who take your money but fail to provide a service... one to be avoided. I signed up for GreenGeeks because I saw their green claims and special and didn't do more research. I should have. I prefer companies that promote transparency in communication and service/feature claims. GreenGeeks did not meet with any of these preferences. I left within a week. I tested their chat, email, and phone service quality. The chats were clearly staffed by people who were using stock answers that were close, but not relevant, to the questions posted. When forced to use their own words, there was clearly a language issue. Aside from language, there was also clearly a knowledge base deficiency. Despite claims to the contrary--and companies can make any claims they like and invest heavily in favorable reviews and company endorsements--the support, while prompt, is neither flexible nor intelligent enough to handle basic enquiries. There are hidden costs, indeed. Without using their service, the money-back guarantee does not guarantee all money back. Quite the contrary. And, to cancel an account, one must jump through several sets of hoops, not the least of which is an eager email or two trying to get you to stay by enticing you with new offers. Once canceled, a portion of your investment is refunded, not the full amount. I have moved to another host, not as green, but certainly transparent, intelligent, invested in their product (more than just a figurehead), and with ethical standards they don't buy, but earn. This alone is worth its weight in gold, and I have no hesitation to support them with my business, and appreciate theirs. Here is the message from J. D.; who has always given me answers with such indignation. Basically, telling me I am stupid but acting like I don't know that is what he is saying to me. He really should be fired in my opinion. My questions re: Are PHP module extensions installed by default or do I need to do anything to get them up in running ... to me this included me possibly needing to put in a request to get them installed. I don't really know how to use the cpanel all that well, hence my questions. But he really has always been obnoxious to me and I am finally tired of it. If they could improve their support I would remain a customer but after two years and responses from J. D. that are inappropriate for a customer support representative, as well as, a manger of support. ... I am looking for a better host in which to grow my company. You have a Reseller Hosting account and as such there are no PHP module support/control available to you as you do not own the server (ie have root access). However any research you require, you will find Google is your friend and can help point you in any direction. Really poor customer support-condescending. He (J. D.) actually told me to try google to help me with my questions. They offered me a service and once I paid they said they couldn't provide. I have canceled and every week I call them to know what happened to my refund, every week they say it will be processed the next day, next week the same thing. all emails I send I never get any response, except to say they will respond in 48 hours but they never do. Horrible experience, do not use!!! Is been 3 months! They stole my money!! They are big and slow. I copied two sites to a Green Geeks free trial account. I was sorry to learn there was a huge difference in performance. My european provider was not green but cheaper and delivers about the same product, but with much faster page load time. When I tried to end my free trial GreenGeeks turned ino a concrete wall. All I received were automated replies. Finaly I got my money back minus 20 euro. Set up cost and transaction fee! I'd like to caution anyone considering Green Geeks. There are plenty of hosts to choose from with reasonable technical stats, and if you are the type of person who occasionally makes a mistake or misunderstands something you'd be better off somewhere else. I have been hosting with them for almost 2 years at this point, and have called in about issues a handfull of times. Not once have I felt good when I got off the phone. They boast outstanding customer service on their front page, but every phone call leads to an operator saying "I'm sorry, you'll have to fill out an online ticket. I can not help you over the phone." More than once, I've gotten really condescending answers to my tickets that were not even addressing the real issue. When I had a billing issue and didn't notice there was a problem for a couple of months, they refused to refund the months of service that I did not use. I'll be leaving at the end of my 2 year prepaid term. Although the website has been running smoothly and the price is right, the stress of dealing with this company is not worth it. The "green" part is what drew me in. I guess I still believe in good faith that that is not a lie... unfortunately, the rest is cons. Really bad customer service. I have honestly been shocked by the audacity. They won't let you poll the server every minute when checking for e-mail or they block your IP address. I had to call and get it unblocked at least 4 times before they suggested that I change the setting in my mail program. Must be a better hosting provider out there!! terrible support, all my websites are down with this provider, and the only response give me are: "There is some issue with the server you are on, techs are working on it. You can check the updates at : http://status.greengeeks.com/"
I moved to greengeeks because I was experiencing too much downtime with my previous hosting company. Now it seems that not everything is as they adertise! I run two moodle and one Joomla + coppermine picture gallery on my site. Now greengeeks are threatening to DELETE all of my resources, students work and pictures because as they state the class it as "file archiving". BEWARE, not all is as it seems! I am extremely dissapointed, harassed, and stressed over this situation, especially in view of the fact that they advertise all of these features namely namely content management systems like moodle, joomla, etc, and now it appears they are not happy with customers using these for their intended purpose! Great features for the price $6.95 with 12 month contract. 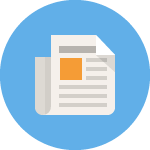 Payment is required at the beginning of the contract (industry standard). 3 year contract is available with the same features and attractive price of 4.95/month. Excellent and reliable host - no problems here. Note on "unlimited" space: you do get unlimited space but "Terms and Conditions" say if that feature is abused they reserve the right to limit your server space. I think this is for their own protection and if you plan to run, for example, online storage company on their servers. - No cons except maybe more or better tutorials for the newbies (that said, I (newbie) was able to figure it out without much trouble - my site is live and kicking ;) www.myezweb.net). I used joomla review to identify an alternative to Go Daddy! The live support proved easy to use and they promised me that if I signed up, they could migrate me in 2 days. I followed their instructions and waited to see my sight transfered. When it wasn't done on the second business day I sent an e-mail and waited. I got no response. On the 4th business day I tried live support again and was told that my e-mail response to the ticket on that second day meant I was back at the bottom of the cue but that they would see to it we were moved by the end of business. Nothing happened and the next morning I went back to live support. The same operator apologized again and said he would personally see to it. Since this was the 3rd promise of action, I was skeptical. A week had now gone by. I said 4 hours seemed to be enough time for action to happen and asked for results by 3:00 no communcation came until 3:30 when they said they needed info I'd already provided when opening the ticket. It was the first request I'd gotten at know time did any tech support person identify this as an issue (I have the "what's wrong" posts to prove it. I gave up since the incompetence factor was too high at that point. Migrators without the tech know how to DIY beware of false promises. It was really sad, wasted my time and I now have to start again while my Go Daddy sight lags still. Couldn't deliver on promises. No follow through. Confused and conflicted customer service feedback. I've been with this company for a few months now and am happy to say the service has been exceptional. Great offer with great service. Definitely a powerful Joomla host form what I can tell. I have been using this host for the last couple of months and they have been awesome. My site loads fast without any uptime problems and their customer support have always been quick to help me with some small issues I've had. Been with GreenGeeks for a little while now and have been very happy with the service. My site has performed well and glad I went with GreenGeeks. Decided to go with GreenGeeks after reading about them on several sites and being recommended to go with them. Moving my Joomla site over was easy because of the fact that they offer a site migration service. There guys did all of the work for me. All I had to do was sign up, this was a time saver. The green part is very attractive to me, because I am a big green geek myself, it's definitely a plus to be with them on that part. Simply put, alright price, but worth every penny. Easy to contact support. Always there and very fast to respond. Price is a bit on the heavy side compared to other hosts, but worth it. GreenGeeks is well known as the "Environmental Hosting Option". They do a great job at doing well for the earth and most who use them are very satisfied. They have been doing business for 5 years. 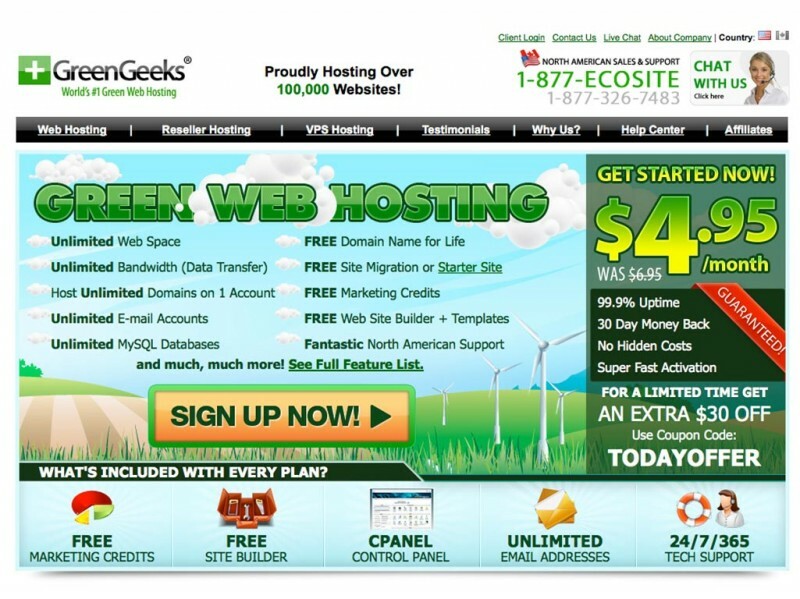 Founded in 2006, GreenGeeks is considered to be the #1 green energy web hosting provider in the world. Their commitment to being green has earned them respect throughout the industry. GreenGeeks replaces 3 times the energy used with wind power. The company is headquartered in Santa Monica, CA while the servers are located in Chicago, IL in Green Grid Datacenter. The Eco Site Plan by GreenGeeks for only $6.95 per month offers customers just about everything they need to get their web site online. You can be sure to receive unlimited disk space, unlimited data transfer, e-mail addresses, MySQL databases, free domain for life, free site builder and hundreds of more features. Sign up for a 3 year term and the rate drops to $4.95/month. In it's commitment to be a green web hosting provider, GreenGeeks utilizes latest generation Intel Quad Core Xeon processors that are energy efficient. The very powerful servers that draw less power also come with a very fast storage array powered by RAID-10. This is to ensure maximum performance and reliability from the storage system. GreenGeeks comes with an auto-installer for Joomla. Joomla runs on the infrastructure with no issues. GreenGeeks comes with 24/7 technical support via e-mail helpdesk, live chat and telephone. They also have a large knowledgebase that's growing every day along with other help tutorials. Greengeeks is a great Joomla web host. Their management team brings over 10 years of experience with it and that has played an important role in their success in this competitive industry. Use this link with coupon code JOOMLA25 & save $25 at signup..